Welcome! 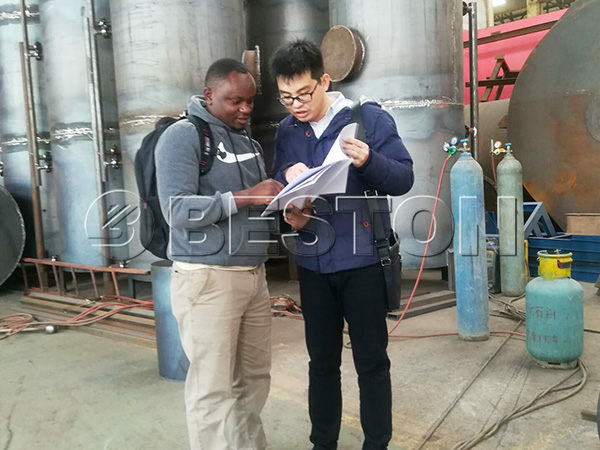 Kenyan Customers Come to Visit Beston Biochar Machine! 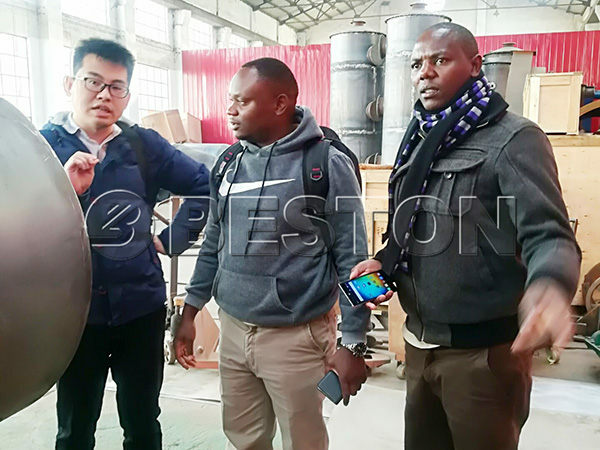 Kenyan customers came to China for the visit of biochar making machine. 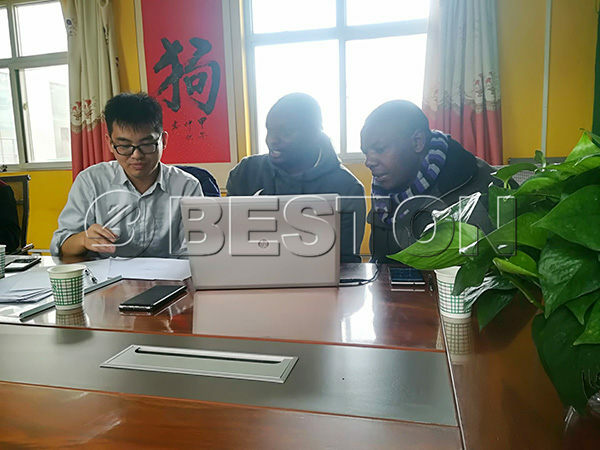 Our sales manager led them to our factory and showed them the operation and other details of the carbonization machinery. Our manager also showed the final products for them and answered their questions. The further cooperation is under discussion. Kenyan customers want to buy the charcoal production equipment for installing biomass to energy project. The machine can be used for dealing with various biomass materials, including rice husk, coconut shell, straw, sawdust, wood, bamboo, etc. 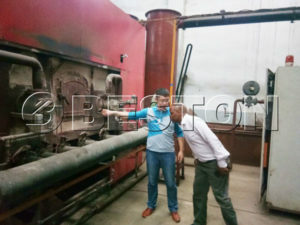 The Kenyan customers are quite satisfied with the machine, and we are looking forward to expanding our business of charcoal making machine in Kenya market. 1. Rapid response to any inquiry. 2. Technical data provided ,competitive price. 3. Visiting factory and trial for customer. 4. Suggestion with reasonable shipping freight. 5. Engineers will go to clients’site for the installation, test-running and free training.